Would You Drink Pink Sparkling Milk? It could be coming to a grocery store near you. It's fair to say many of us are obsessed with sparkling beverages. (You have heard of La Croix.) But one U.K. company is betting that our fizzy obsession goes way beyond water and rosé, all the way to creamy, bubbly beverages—to like, you know, milk. That's right: Arla, one of the U.K.'s largest dairy producers, is set to debut sparkling milk in its home country as well as in Singapore, the United Arab Emirates, and with any success, one day expand into additional global markets, including the U.S., the Telegraph reports. 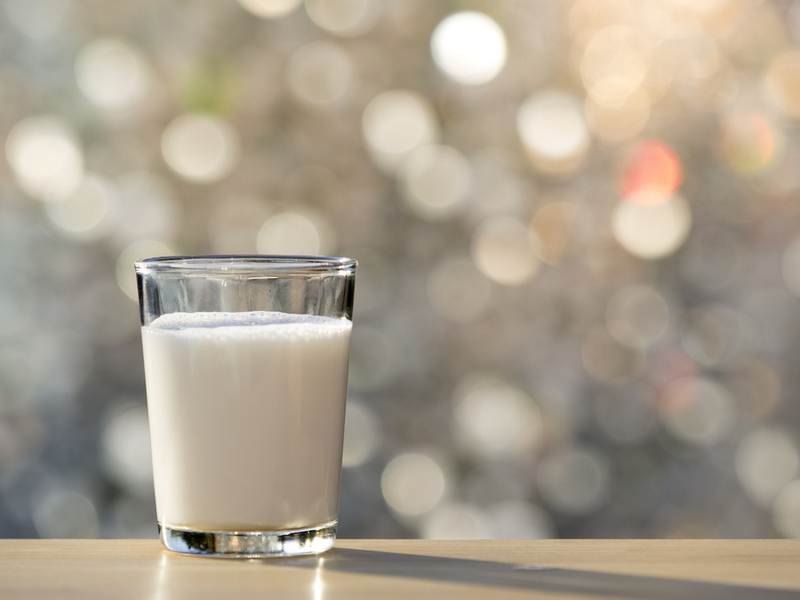 The new sparkling beverage is part of a larger plan by the milk company to triple its milk sales by 2020—that's how much it believes you'll buy it. The sparkling milk will be made from a combination of carbonated milk by-product with zero fat and fruit, lending the beverage a pink hue. It'll come in ready-to-drink containers, lending the beverage a grab-and-go feel, much like a soda or La Croix. Additional details about the bubbly milk haven't been released, the Telegraph says. But while Arla seems overly confident you'll gulp up this new product, our recent past predicts a different future for sparkling milk: just a few years ago, another U.K. company, Britvic, rolled out a "strange" soda that included a milk product, but pulled it from shelves when sales fell (very) flat. Coca-Cola has tried to warm consumers to a cool sparkling milk product; but it also failed when, in 2009, it stopped selling Vio, a carbonated milk drink that was a flop in the U.S. and never even made it to Europe. In fact, Vio was considered so bad that it was placed on Time's 2010 list of the 50 worst inventions. "Coke calls it the world's first 'vibrancy drink,'" the magazine said. "That's a really, really lame euphemism to get around the fact that Vio is carbonated flavored milk." It continued, "The beverage giant rolled out bottles of the stuff in 2009 to test markets including New York. Shockingly, it failed to find broad appeal."